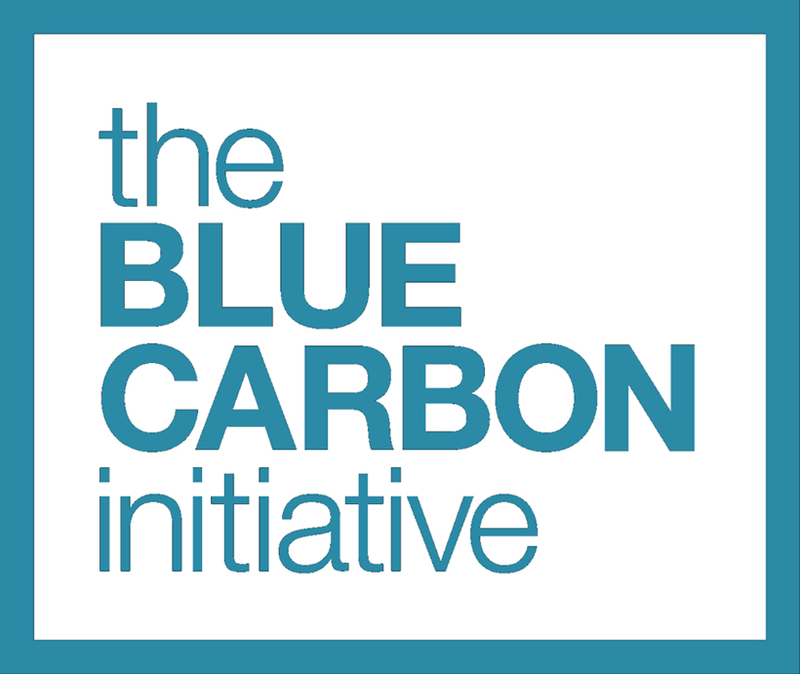 Learn more about the CCRCN and our Coastal Carbon Atlas by registering for the next Blue Carbon in Practice webinar on Wednesday, April 24th at 2:00pm EST, hosted by Restore America's Estuaries. We will discuss the mission of the Network, how to use the Atlas, and how you can get involved. Register for the webinar here. The most recent addition of the Smithsonian's newsletter featured a cover story on the CCRCN's data synthesis and modeling efforts related to carbon storage, and provides a clean overview of the importance of carbon (and especially methane) accounting. Check it out here. The CCRCN is pleased to announce the public release of the Coastal Carbon Atlas as a feature of our Data Clearinghouse. Using this web map portal, you can visualize, query, and download directly from the CCRCN database, and provided with raw data is helpful resources and a catered bibliography. Click here to learn more about the CCRCN Data Clearinghouse. We would like to welcome Dr. Steve Crooks, Dr. Patty Oikawa, and Dr. Ken Krauss to our Steering Committee, congratulations! We would also like to deeply thank Dr. Lisamarie Windham-Myers and Dr. Kevin Kroeger, who are rotating off of our steering committee, for their vital service in getting the CCRCN funded and for advising us during our first year. Read about the CCRCN administration here. 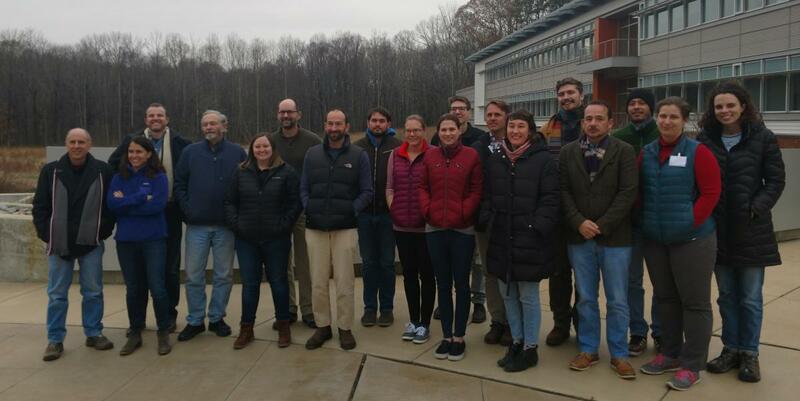 On December 8-9 2018, 17 members of the Soil Carbon working group convened at the Smithsonian Environmental Research Center, integrating biogeochemical, geospatial, botanical, and geomorphological expertise to accelerate modeling and mapping efforts. Learn more about the working group here. The CCRCN is seeking nominations for three new members on our steering committee. Committee members contribute towards shaping the goals and timelines of the CCRCN and participate in collaborative research. Review will begin on December 1, 2018. See here for more information. The CCRCN will be hosting another town hall at the American Geophysical Union Fall meeting, December 10-14 2018. The town hall will be held from 18:15-19:15 on Thursday, December 13 in in the Marriott Marquis.​ Learn more about the town hall here. The CCRCN's inaugural working group began collaborating in July. The group seeks to determine how much variation in carbon stocks and burial rates is attributable to scientific practices versus environmental covariates, and to develop map and model products. Learn more on the Soil Carbon Working Group page. We have just made available a suite of coding tutorials that utilize RStudio and tidyverse packages to teach data manipulation and visualization skills. These exercises, which are geared towards the introductory R user, enable you to explore the CCRCN Soil Carbon Data Release (version 1), but also will improve data skills related to your own projects. Check out the coding tutorials here. The application portal for the CCRCN working groups is now open. Five working groups, each culminating with an in-person workshop, will take place over the next five years. The steering committee has decided to announce the titles and timing of the first two working groups, as well as suggestions for future working groups. If you are interested in participating in any of the working groups, please fill out an application. The survey will remain open indefinitely, however we will begin considering applicants for our working group 1 on Thursday, July 12th. The dataset for a NASA CMS-funded and CCRCN-managed publication in Scientific Reports has now been made public via Smithsonian Libraries. Data from 1534 soil cores are available, including per-depth soil organic matter and carbon metrics, plant species identity, state of human impact, field and lab methodology, and core metadata. The paper, led by CCRCN manager James Holmquist, reveals that simple strategies are the most effective for mapping soil carbon, for now. In an effort to be responsive to the community, we would like to announce the beginning of a public comment period for 3 key documents: CCRCN Governance, Data Management Principles, and Controlled Vocabulary for our Tidal Soil Carbon Synthesis Products. Public comment will be open for two weeks starting Monday April 2 and ending Friday April 13th. We officially launch starting January 2018, but we are already hosting our first synthetic dataset on the Smithsonian's GitHub page: a literature review supporting the U.S. Coastal Wetland National Greenhouse Gas Inventory. The page includes summary tables, a report, and an open workflow including SAS code used to create the dataset. Tidal marshes, mangrove swamps and seagrass meadows are unique ecosystems found on coastlines worldwide. These wetlands support specialized plant, microbe and animal species that collectively form some of the Earth’s most productive ecosystems, influencing the ecology of estuaries and coastal oceans. Coastal wetlands are also under severe pressure from human activity which threatens to diminish the many benefits they provide to people and aquatic food webs. Among these benefits is the fact that they remove large amounts of the greenhouse gas carbon dioxide from the atmosphere and bury it in soils for centuries to millennia. Indeed, these ecosystems account for nearly 50% of the organic carbon buried in the oceans despite occupying less than 1% of ocean area. This surprising fact suggests an opportunity: that protecting, restoring and managing these ecosystems could help manage greenhouse gas concentrations in addition to the list of other ecological and social benefits they provide. The pace of research on this topic has accelerated and is now too rapid to be synthesized by individual investigators. The goal of this Research Coordination Network is to advance the synthesis of coastal wetland carbon cycle data. The Coastal Carbon Research Coordination Network will accelerate scientific discovery, advance science-informed policy, and improve coastal ecosystem management by: (1) developing a community dedicated to coastal wetland carbon science for basic research, policy development, and management, (2) exploring the ecological links between coastal wetlands, estuaries, and the atmosphere, and (3) sharing data and analysis tools that support the diverse needs of scientists, policy makers and managers. Activity 1 is a repository for participant-contributed data, and a central portal for downloading data from repositories of interest to the coastal carbon community. Activity 2 is a Coastal Carbon website to attract participation of diverse users by providing a variety of resources that meet their needs. It will provide data analysis tools, a knowledge sharing resource, a video library of training modules in standard methods, a code library to support modeling, links to publications, and a webinar library. Activity 3 is outreach via a series of webinars and 'town hall' gatherings at professional meetings. 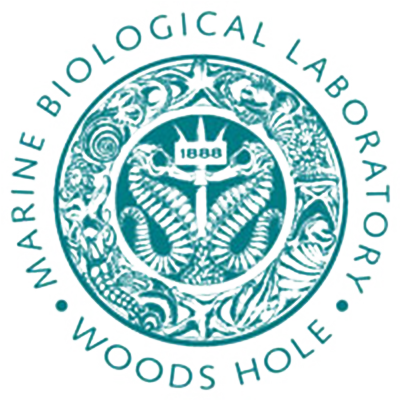 Activity 4 is a series of workshops on scientific gaps in coastal carbon. Activity 5 is a web-based tool for modeling global warming potentials. 1. The initial results of a sensitivity analysis of U.S. coastal wetland flux which quantitatively rank priorities for reducing uncertainty. 2. Feedback from you at our 2017 AGU Town Hall, our 2018 community priorities survey, and individual outreach with many of you. 3. A recognition that the CCRCN steering committee needs to offer enough detail and leadership so that the workshops have direction, but not at the expense of remaining flexible to the changing nature of research and community priorities over the next five years. Research Questions: 1. How much variation in carbon stocks and burial rates is attributable to field and lab techniques, and how much to environmental covariates? 2. What is the potential for machine learning or process-based modeling to map carbon stocks and burial rates? Final Products: 1. Paper on best practices for field, lab, and data management; 2. papers on modeling and mapping; 3. Mapped products at the scale of the contiguous United States if applicable. Each topical working group will have 12-15 participants. Each participant will be expected to agree to a code of conduct, contribute at the level of a coauthor, participate in remote collaboration in the months leading up to a two day workshop, attend all of the workshop, and assist in revising analyses and reviewing paper drafts following the workshop. We strongly encourage students and early career scientists to apply, especially as participation in data synthesis may advance publication and career opportunities. To maximize the diversity and number of participants, applicants should not expect to be selected for more than two working groups over the next five years. Travel funding will be provided for in-person workshops. Unfortunately funding for non-U.S. based collaborators is very limited. If you can provide your own funding, please indicate this on the application as it may free up funds for international participants. Please indicate your ranked preferences 1 = highest, 5 = lowest. Note: applications for Working Group 1 are now CLOSED. Display of topics is primarily to gauge interest. A future application will be provided for these later working groups. 1 is highest priority, 4 is lowest priority. Are there other topics that you would like explored through a working group? Please describe your level of experience with the given skillset. Please use this space to clarify or elaborate on anything funding-related. The Network recognizes three classes of data: (i) data that we curate, (ii) data that we ingest, and (iii) synthesis products we create. Data that we curate will be hosted on Smithsonian Institution (SI) servers, but the original data submitter and funding sources will be credited as the dataset’s creators. Data that we ingest will include both data we curate and data from any outside sources that meet basic availability, archiving, and metadata standards. These data will be pulled into intermediate files in a centralized database using R code. The workflow and files will be archived and publicly available on an SI-managed GitHub website. This document refers to soil depth profile data throughout, but it is our intention that these general structures and principles be applied to other types of data as the Network evolves. We encourage submitters to use best practices and to assign datasets a citable digital object identifier (DOI), which links to a repository containing downloadable data and associated metadata. We will prioritize ingesting such data into the synthesis. Data submitters can choose to forward DOIs issued outside of the Network for ingestion into the central data structure on the Network’s SI GitHub website. Some DOI-issuing repository services include Figshare and the Environmental Data Initiative. As a service to the community Network personnel can will be available to assist data submitters in archiving data according to outlined standards. Submitters also have the option to host data on an SI server, and apply for a DOI through SI libraries, with the submitters credited as a dataset author and Network personel credited for their curatorial role. Landing pages with summaries of projects, sites, and cores will be viewable on Dspace, and the CCRCN website will advertise a link to the data release. While data will be digitally archived long-term in accordance with SI standards, we cannot guarantee new data will be accepted after Network funding ends. While we recognize that there is no official definition for what constitutes a trusted repository, repositories associated with DOIs should in general have community recognition and trust in their long-term stability. For data curated by the Network we hope that SI’s reputation, DSpace’s status as an approved technology, and the SIL’s commitment to digital object curation, generate this level of community trust. For data curated by the Network, we will use the Environmental Metadata Language standards. This includes an abstract, detailed submitter information, attribute definitions, and data types (e.g. character, factor, numeric, or dateTime). CCRCN personnel will use the R-based EML package in our workflow to create metadata for data that we curate. Code used to create EML will be documented, and archived in a Smithsonian GitHub repository. Attribute names (analogous to column names in a spreadsheet) should follow good management practices1. Attribute names should be self descriptive and machine readable. They should contain no spaces and must not begin with a number or special character; however, underscores (i.e. pothole_case) are acceptable. We will recommend and adopt controlled vocabulary for attribute naming. Any submitter defined attributes should follow the same naming principles and documentation. Units for all attributes need to be defined and in some cases controlled. For some variables which typically have commonly reported units we will recommend submitters format using these controlled units. These include fraction_organic_matter (fraction), dry_bulk_density (g cm-3) and latitude and longitude (decimal degrees [world geographic survey 1984]). For attributes that are applicable to the synthesis, but typically have multiple common unit formats, we recommend an accompanying column defining these units. Uncommon data types, or data types not included in synthesis projects, simply need to have units defined in associated metadata. Good data practices require consistently formatting no data values and categorical variables. We have adopted the R-based convention of representing no data values as NA for all variable types (never blanks). Categorical variables should have descriptive names stored as text, similar to attribute names. For example, one may code the categorical variable treatments as numeric values 0 and 1 standing in for experimental and control; however, best practices would dictate coding these as descriptive characters (experimental and control) rather than numbers. For data we curate we will use controlled vocabulary units and variable types. For data we ingest, we will keep a file of corresponding controlled variables and aliases so that data not complying with controlled vocabulary can still be ingested. We will document transformations made to ingested data to standardize them with the data we curate in R code. In general we believe that there should be community agreement on the finest level of data disaggregation archived for practical use and reuse. This fundamental unit should be the most detailed unit typically used and reported in the literature. For soils data we will stratify by site, by core, and by depth increment. For calculations such as loss-on-ignition and bulk density, data by depth increment will be the fundamental level of archiving. For age-depth information we will archive radiocarbon (14C) age ? sd of a sample for 14C dates, and counts per unit dry weight ? sd of a sample for 210Pb and 137Cs profiles. We will ingest existing data and curate submitted data in a hierarchical framework. Information associated with submitters, projects, sites, cores, and depth profiles will all be hosted in separate tables related by index codes that are unique. A universal dataset index will be composed of the principal investigator’s family name, as well as the second author or ‘et al’ in the case of more than two authors, then the publication year. Sequential letters will be added to the end (a,b,c, etc.) in case of multiple publications per year (Example: Jane Doe, Lee Fakeman and Ben Mademup’s 2009 paper = Doe_et_al_2009). Project metadata will have an abstract and information about coauthors, associated funding source, or set of funding sources, associated publications, and materials and methods. A project should be a discrete unit of research united by consistent personnel, funding sources, and/or materials and methods. A project can be associated with one or more sites. Sites refer to discrete geographic or management units and are somewhat nebulous, project specific, and submitter defined. A site code should follow the same best practices for variable naming: not starting with a number, descriptive, brief, and meaningful to project documentation and design. Site metadata refer to data associated with the sites, such as location, notes on dominant vegetation types, salinity, and site condition. Although there are no standards for what constitutes a site, and different projects could have different names for the same site, this coding should be consistent within a project. A site can have one or more data sets, including one or more core, plot, or instrument locations. Core/Plot/Instrument-Level Data refer to information specifically about the location of a soil core. This could include positional information such as latitude, longitude, and elevation. It could also include notes that are redundant but more detailed than site metadata, such as vegetation and salinity. Each core should have a unique code within a project. A core code should follow the same best practices for variable naming: not starting with a number, descriptive, brief, and meaningful to project documentation and design. For future syntheses this level of hierarchy could also house other types of data such as vegetation plots or instruments. Depth Series Information: Soil cores have depth-series information which should include minimum and maximum depth increments, as well as measurements presented in their fundamental unit (explained above), with associated methods notes, and uncertainties. If replicate samples are taken from the same depth increment then these can be distinguisehd with a sample code. These can be submitter defined, but should conform to general principles for variable naming. In future syntheses time-series data could also be archived in this format with instrument replacing a core, and time replacing depth. Tabular data will be stored in a flat text file, meaning that no data formatting will be included. We will default to using tab-delimited text files (.txt) for simplicity. Although comma separated values .csv are also common, these types of files can be corrupted if commas are ever used within a variable rather than to delineate variables. Submissions that are received in other formats, such Microsoft Excel files, will be edit-locked and archived as submission documents. However, a working version of this submission will be formatted according to Network standards in flat text files. Tabular data will be stored in long-form tables, as opposed to wide-form tables. Each column should correspond to one variable, each row should correspond to one entry. Each column needs to have a single data type, and represent only one variable. Extra information such as units, notes, or operator code will not be encoded as an excel note, cell color, or be included in the same cell as a value. Network personnel will perform a cursory visual check on all data we curate and relay any concerns to the data submitter during the curation process. We will also write scripts to check data type, to check that values for each attribute are in defined bounds if applicable (such as 0 to 1 for fractions), to check for completeness, and to ensure there are no conflicts or duplicates with previously archived data. For data that we curate, files will be edit-locked following QA:QC. Any updates or corrections will result in a new named version of the file, a change logged by Network personnel in a text file associated with the data, and a note of the change sent to the next update of the Network email list members. If you are interested in submitting data, please email CoastalCarbon@si.edu and CCRCN personnel will assist you in the process. We are working on building a webportal to automate a lot of this exchange, but until we do so this will remain a very friendly peer to peer handoff system. Data submissions can remain embargoed for a time specified by the submitter. 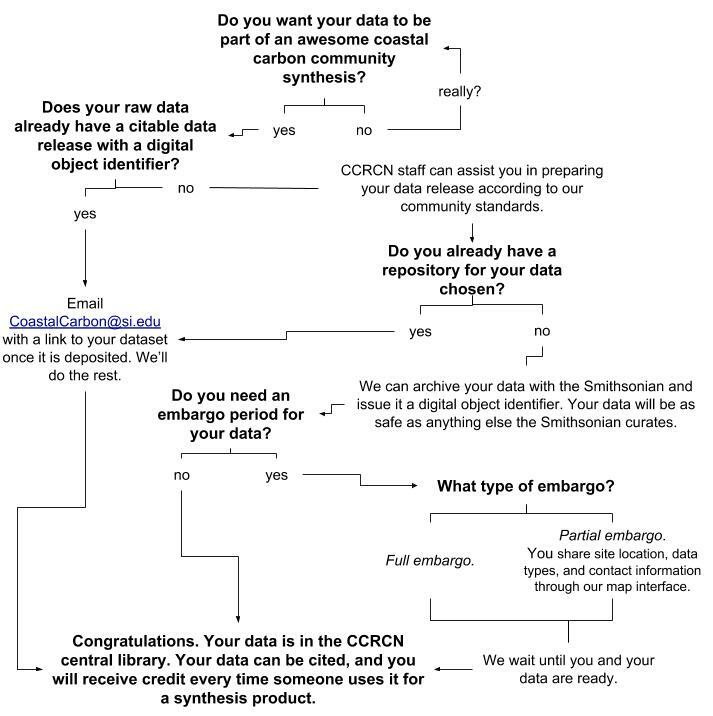 In embargo cases a data release will be prepared and shared with the submitter via a private dropbox link, until the embargo period ends, the data release is made public, and the dataset is drawn into synthesis products. This page serves as guidance for the types and scope of data and metadata that will be archived as part of the Network’s developing tidal soil carbon synthesis. We propose the following data structure and standardized attribute names for metadata and data in order to make datasets machine-readable and interoperable. Each subheading lists a level of metadata or data hierarchy from study level metadata to site level to core level to depth series information. Each subheading also represents separate tables which can be joined by common attributes such as study_id, site_id, and core_id. We also include accompanying sets of recommended controlled vocabulary for key categorical variables (also known as factors). Some attributes have controlled units that we wish to keep uniform across datasets. Data that we curate will follow naming conventions outlined herein. Data that we ingest from outside sources will be converted to these conventions when being ingested into the central GitHub database using custom-built R scripts. At a minimum a submission should have the following for inclusion in soil carbon synthesis products: study_id, author information, core_id, latitude and longitude information associated with either a core or the site, depth_min, depth_max, dry_bulk_density, organic_matter_fraction and/or carbon_fraction. The more auxiliary detail that you provide, the more widely your data can be used. Throughout the tables below mandatory attributes are shown in bold. The depth series is the level at which carbon-relevant information is housed. This synthesis will not ingest core-level or site-level averages of variables like dry bulk density, fraction organic matter, or fraction carbon. These averages can be derived from the database, but are not immediately useful to our research questions unless those averages can be traced back to their original data. There are many opportunities to express your data’s individuality. We refer throughout to ‘flags’ and ‘notes’. Flags refer to common methodological choices or data issues that can be coded using categorical variables. The idea behind flags is to allow users the option to query datasets based on methodology. Flags are very machine-readable but not very flexible from the standpoint of a submitter. Notes are available for almost all measured attributes and take the form of free-text allowing submitters to provide context, observations, or concerns about methods, sites, cores, or observations. These are more flexible from the perspective of a submitter but are less machine-readable. A meeting of 47 experts in Menlo Park, CA in January 2016, hosted by the United States Carbon Cycle Science Program, in order to establish community priorities. Experience with the initial curation of a dataset of ~1,500 public soil cores as part of the publication Holmquist et al., 2018 Accuracy and Precision of Tidal Wetland Soil Carbon Mapping in the Conterminous United States. The results of 19 collaborators submitting commentary on an initial draft of these recommendations put up for public comment in April and May 2018. We acknowledge that this is a lot of information to process and do not want to imply >100 attributes are mandatory. They are not. While the entire entry template is available for download , we are also in the process of designing an application which will generate a custom submission template based on your answers to a questionnaire about your dataset. Submitters can feel free to add other attributes to data submissions as long as the attributes and any associated categorical variables are defined with the submission. CCRCN personnel will accept and archive related soils data within reason, but will not be able to quality control data falling outside the outlined guidance. If attributes or variables are submitted often and there is community coordination behind their inclusion, they could be integrated into periodic updates to this guidance. We anticipate that this guidance will evolve as we synthesize new datasets as part of five working groups. Part of each working group’s task will be to revisit this guidance and agree on new needed attribute names, definitions, variables, controlled vocabulary and units. Any further guidance based on the working group’s experience will be made available to the community via post-workshop reports and peer reviewed publications. Documentation on any changes to the data management plan and submission templates will be issued with version numbers. CCRCN produces will reference these documents and version numbers. We will avoid changing attribute or variable names, and will only do so if there is a compelling reason to. If in the future there ends up being more than one acceptable redundant attribute or variable name, names will be added to a database of synonyms and working synthesis products will be updated given the most current standards. Study-level information is essential for formatting the Ecological Metadata Language, and is a great way for you to express your project’s history, context, and originality. Please provide some custom text for your study. Keywords are not necessary, but can help make your data more searchable in a database. For each dataset at least one corresponding author should be specified. Specifying author names will allow users (or you in the future) to query the dataset and see how many cores you’ve submitted. corresponding_author TRUE or FALSE indicating whether the author should be contacted as the corresponding author. factor TRUE = The author should be contacted with any further questions. FALSE = The author should not be contacted with any further questions. Your funders will love being acknowledged in a data release, and will appreciate being searchable in the database. One dataset can have multiple funding sources. One dataset can be affiliated with multiple publications. This allows an original work to be cited as a primary source, as well as any secondary or synthesis papers that added value to the dataset’s archival. Submitters can simply add a bibtex style citation, such as one copied over from Google Scholar, or they can fill out all of the relevant attributes for the data release. It’s all the same to us. Much of this guidance came from the Wikipedia page for BibTeX. publication_type Code indicating the type of publication the study originates from. factor article = Journal article. book = Book. mastersthesis = Master’s Thesis. misc = Miscellaneous publications such as online datasets. phdthesis = PhD thesis or dissertation. techreport = Technical report. unpublished = Unpublished source. For each study please fill out key data regarding materials and methods that are important to the soil carbon stocks meta-analysis. Some users may want to include or exclude certain methodologies, or see your commentary on the methods. Let’s make it easy for them. coring_method Code indicating what type of device was used to collect soil depth profiles. factor gouge auger = A half cylinder coring device in which the coring section is open, not sealed off by a fin. hargas corer = A large diameter (>10 cm) coring device consisting of a tube, piston, and a cutting head. mcauley corer = A half cylinder coring device with the coring section sealed off by a fin attached to a rotating pivot point. mccaffrey peat cutter = U-shaped blade that extracts a core by cutting down through peat. none specified = No coring device was specified. other shallow corer = Any other type of coring device typically taking cores shallower than 30 centimeters. piston corer = A device that extrudes core into tube upward with a plunger. push core = Any number of coring types involving driving a tube into the sediment to recover a core. pvc and hammer = PVC pipe was driven into the sediment with a hammer to recover a core. russian corer = A half cylinder coring device with the coring section sealed off by a fin attached to a rotating pivot point. vibracore = A technique involving collecting a core by sinking a continuous pipe into sediment attaching a source of vibration, then recovering using a winch and pulley. surface sample = A technique involving collecting a core shallower than ~5 cm using a circular metal cutter. roots_flag Code indicating whether live roots were included or excluded from carbon assessments. factor roots and rhizomes included = Roots and rhizomes were included in dry bulk density and or organic matter and carbon measurements. roots and rhizomes separated = Roots and rhizomes were separated from soil before dry bulk density and or organic matter and carbon measurements. sediment_sieved_flag Code indicating whether or not sediment was sieved prior to carbon measurements. factor sediment sieved = Sediment was sieved prior to analysis for organics. sediment not sieved = Sediment was not sieved prior to analysis for organics. compaction_flag Code indicating how the authors qualified or quantified compaction of the core. factor compaction qualified = Compaction was at least qualified and noted by the authors. compaction quantified = Compaction was quantified and corrected for in core based measurements. corer limits compaction = Authors specified that the coring device’s design minimized compaction. no obvious compaction = Authors observed no obvious compaction. not specified = Compaction was not specified. dry_bulk_density_flag Any notable codes regarding how the authors quantified dry bulk density. factor air dried to constant mass = Methodology specified that samples were air dried to a constant mass. modeled = Bulk density was not measured, but was modeled from loss on ignition and assumptions about the particle densities of organic and inorganic matter. freeze dried = Bulk density was measured on freeze dried samples. not specified = No additional details regarding bulk density methodology were provided. removed non structural water = Bulk density methodology did not specify drying temperature or length, only that non-strucural water was removed. time approximate = Bulk density time recorded herin is an approximate estimate. to constant mass = Bulk density methodology did not specify drying temperature or length, only that samples were dried to a constant mass. loss_on_ignition_flag Common codes regarding loss on ignition methodology. factor time approximate = Loss on ignition time recorded herein is an approximate estimate. not specified = No additional details regarding loss on ignition methodology or time were provided. carbon_measured_or_modeled Code indicating whether fraction carbon was measured or estimated as a function of organic matter. factor measured = Fraction carbon was measured as opposed to modeled. modeled = Fraction carbon was modeled as opposed to measured. carbonates_removed Whether or not carbonates were removed prior to calculating fraction organic carbon. factor FALSE = Carbonates were not removed before measuring organic carbon. TRUE = Carbonates were removed before measuring organic carbon. carbonate_removal_method The method used to remove carbonates prior to measuring fraction carbon. factor direct acid treatment = Carbonates were removed using direct application of dilute acid. acid fumigation = Carbonates were removed by fumigating with concentrated acid. low carbonate soil = Organic carbon fraction was measured without removing carbonates assuming carbonate content of the soil type was minimal. carbonates not removed = Carbonates were not removed and low carbonate soil was not specified. none specified = Carbonate removal methodology was not specified. fraction_carbon_method Code indicating the method for which fraction carbon was measured or modeled (Note: regression based models are permitted, but the use of the Bemmelen factor [0.58 gOC gOM-1] is discouraged). factor Craft regression = Used regression model from Craft et al., 1991, Estuaries, to predict fraction carbon as a function of fraction organic matter. EA = Each sample presented was measured using Elemental Analysis. Fourqurean regression = Used regression model from Fourqurean et al., 2012, Nature Geoscience, to predict fraction carbon as a function of fraction organic matter. Holmquist regression = Used regression model from Holmquist et al., 2018, Scientific Reports, to predict fraction carbon as a function of fraction organic matter. kjeldahl digestion = Each sample was measured kjeldahl digestion method. local regression = A regression model fit using a subset of measurements was used to predict fraction carbon as a function of fraction organic matter. not specified = No additional details were provided regarding fraction carbon methodologies. wet oxidation = Each sample was measured using a wet oxidation method. fraction_carbon_type Code indicating whether fraction_carbon refers to organic or total carbon. factor organic carbon = Author specified that fraction carbon measurements were of organic carbon. total carbon = Author specified that fraction carbon measurements were of total carbon. cs137_counting_method Code indicating the method used for determining radiocesium activity. factor alpha = Alpha counting method used. gamma = Gamma counting method used. pb210_counting_method Code indicating the method used for determining lead 210 activity. factor alpha = Alpha counting method used. gamma = Gamma counting method used. excess_pb210_rate Code indicating the mass or accretion rate used in the excess_pb_210_model factor mass accumulation = Excess 210Pb modeled using mass accumulation rate. accretion = Excess 210Pb modeled using vertical accretion rate. excess_pb210_model Code indicating the model used to estimate excess lead 210. factor CRS = Constant rate of supply model used. CIC = Constant initial concentration model used. CFCS = Constant flux constant sedimentation model used. c14_counting_method Code indicating the method used for determining radiocarbon activity. factor AMS = Accelerator mass spectroscopy used. beta = Beta counting used. age_depth_model_reference Code indicating the reference or 0 year of the age depth model. factor YBP = Year zero is defined as years before present, 1960 CE. CE = Year zero is set according to Common Era and Before Common Era standards. core collection date = Year zero is set as the core’s collection year. Site information provides important context for your study. You should describe the site and how it fits into your broader study, provide geographic information (although this can be generated automatically from the cores as well), and add any relevant tags and notes regarding site vegetation and inundation. Vegetation and inundation can alternatively be incorporated into the core-level data, whatever makes the most sense for your study design. salinity_class Code based on submitter field observation or measurement indicating average annual salinity (Note: Palustrine and freshwater should only include tidal wetlands, or wetlands that are potentially/formerly tidal but artificially freshened due to artificial tidal restrictions). factor estuarine C-CAP = 5-35 parts per thousand salinity (ppt) according to the coastal change analysis program. palustrine C-CAP = < 5 ppt according to the coastal change analysis program. estuarine = 0.5-35 ppt according to most other definitions. palustrine = < 0.5 ppt according to most other definitions. brine = >50 ppt. saline = 30-50 ppt. brackish = 0.5-30 ppt. fresh = <0.5 ppt. mixoeuhaline = 30-40 ppt. polyhaline = 18-30 ppt. mesohaline = 5-18 ppt. oligohaline = 0.5-5 ppt. salinity_method Indicate whether salinity_class was determined using a field observation or a measurement. factor field observation = Salinity inferred by field observation such as vegetation. measurement = Salinity observed from local instrument. vegetation_class Code based on submitter field observations or measurement indicating dominant wetland vegetation type. factor emergent = Describes wetlands dominated by persistent emergent vascular plants. scrub shrub = Describes wetlands dominated by woody vegetation <= 5 meters in height. forested = Describes wetlands dominated by woody vegetation > 5 meters in height. FO/SS = Dominated by forested to scrub/shrub biomass. seagrass = Describes tidal or subtidal communities dominated by rooted vascular plants. vegetation_method Indicate whether vegetation_class was determined using a field observation or a measurement factor field observation = Vegetation inferred by field observation. measurement = Vegetation measured by counts or plots. inundation_class Code based on submitter field observation or measurement indicating how often the coring location is inundated factor high = Study-specific definition of an elevation relatively high in the tidal frame, typically defined by vegetation type. mid = Study-specific definition of an elevation in the relative middle of the tidal frame, typically defined by vegetation type. low = Study-specific definition of an elevation in relatively low in the tidal frame, typically defined by vegetation type. levee = Study-specific definition of a relatively high elevation zone built up on the edge of a river, creek, or channel. back = Study-specific definition of a relatively low elevation zone behind a levee. inundation_method Indicate whether inundation_class was determined using a field observation or a measurement factor field observation = Inundation inferred by field observation such as vegetation. measurement = Inundation class assessed from elevation and nearby tide gauge or other similar method. Note that positional data can be assigned at the core level, or at the site level. However, it is important that this is specified, that site coordinates are not attributed as core coordinates, and that the method of measurement and precision is noted. Vegetation and inundation can alternatively be incorporated into the site-level data, whatever makes the most sense to your study design. In the future this level of hierarchy will be complemented by a ‘subsite level’ as this level of hierarchy can handle any sublocation information such as vegetation plot, and instrument location/description. Unique identifier for the study made up of the first author’s family name, as well as the second author’s family name or ‘et al.’ if more than three, then publication year separated by underscores. RTK = Real-time kinematic global position system (GPS). handheld = Conventional Commercially available hand-held GPS. other high resolution = Any other technique resulting in positional error < 1 meter. other moderate resolution = Any other technique resulting in positional error < 30 meters. other low resolution = Any other technique resulting in positional error > 30 meters. NAVD88 = A gravity-based geodetic datum, North American Vertical Datum of 1988. MSL = A tidal datum, Mean Sea Level as measured against a local tide gauge. MTL = A tidal datum, Mean Tidal Level as measured against a local tide gauge. MHW = A tidal datum, Mean High Water as measured against a local tide gauge. MHHW = A tidal datum, Mean Higher High Water as measured against a local tide gauge. MHHWS = A tidal datum, Mean Higher High Water for Spring Tides as measured against a local tide gauge. MLW = A tidal datum, Mean Low Water as measured against a local tide gauge. MLLW = A tidal datum, Mean Lower Low Water as measured against a local tide gauge. RTK = Real-time kinematic GPS. other high resolution = Any other technique resulting in positional error < 5 cm of random error. LiDAR = Handheld GPS matched to lidar-based digital elevation model. DEM = Handheld GPS matched to another digital elevation model. other low resolution = Any other technique resulting in positional error > 5 cm of random error. estuarine C-CAP = 5-35 parts per thousand salinity (ppt) according to the coastal change analysis program. palustrine C-CAP = < 5 ppt according to the coastal change analysis program. estuarine = 0.5-35 ppt according to most other definitions. palustrine = < 0.5 ppt according to most other definitions. brine = >50 ppt. saline = 30-50 ppt. brackish = 0.5-30 ppt. fresh = <0.5 ppt. mixoeuhaline = 30-40 ppt. polyhaline = 18-30 ppt. mesohaline = 5-18 ppt. oligohaline = 0.5-5 ppt. field observation = Salinity inferred by field observation such as vegetation. measurement = Salinity observed from local instrument. emergent = Describes wetlands dominated by persistent emergent vascular plants. scrub shrub = Describes wetlands dominated by woody vegetation < 5 meters in height. forested = Describes wetlands dominated by woody vegetation > 5 meters in height. seagrass = Describes tidal or subtidal communities dominated by rooted vascular plants. field observation = Vegetation inferred by field observation. measurement = Vegetation measured by counts or plots. tidal frame, typically defined by vegetation type. mid = Study-specific definition of an elevation in the relative middle of the tidal frame, typically defined by vegetation type. low = Study-specific definition of an elevation in relatively low in the tidal frame, typically defined by vegetation type. levee = Study-specific definition of a relatively high elevation zone built up on the edge of a river, creek, or channel. back = Study-specific definition of a relatively low elevation zone behind a levee. inundation_method Indicate whether inundation_class was determined using a field observation or a measurement factor field observation = Inundation inferred by field observation such as vegetation. measurement = Inundation class assesed from elevation and nearby tidegauge or other similar method. core_length_flag Indicated whether or not the coring team believes they recovered a full sediment profile, down to bedrock, or other non-marsh interface. factor core depth limited by length of corer = The total depth of the core was limited by the length of the coring device. core depth represents deposit depth = Authors report that the depth of the core represents the depth of the wetland soil deposit. not specified = Authors did not specify whether or not the depth of the core represents the depth of the wetland soil deposit. This level of hierarchy contains the actual depth series information. At minimum a submission needs to specify minimum and maximum depth increments, dry bulk density, and either fraction organic matter or fraction carbon. Sample ID’s should be used in the case that there are multiple replicates of a measurements. There is plenty of room for recording raw data from various dating techniques as well as age depth models. marker_type Code indicating the type of marker. factor artificial horizon = Horizon was added to the surface artificially by using materials such as feldspar, glitter, or rare earth elements. pollen = Pollen analysis was used to tie horizon to the timing of vegetation change such as the arrival of invasives, or the beginning of local agriculture. pollution = Chemical analysis was used to tie the horizon to the timing of a pollution event. tsunami = Sediment analysis was used to tie the horizon to the timing of a tsunami event. Because there may be multiple observations or conditions that are part of the study, such as species present, or degradation or restoration activities, that can affect a site or core, these are archived separately. You can record species codes associated with sites and/or cores. The CCRCN is species code system is derived from the USDA PLANTS Database, and for most taxa, the code consists of the first two letters of genus follow by the first two letters of the species (e.g., "Spartina alterniflora" = "SPAL"). You can record various codes associated with degradation or restoration conditions at sites and/or cores. impact_class Code indicating any major anthropogenic impacts historically and currently affecting the coring location. factor tidally restricted = Tidal flow is muted or blocked by built structures. impounded = Water level is raised artificially by a tidal restriction, resulting in ponding of water on the wetland and or upland surface. managed impounded = Wetland is impounded seasonally, and other times natural or semi natural hydrology occurs. ditched = Tidal hydrology is altered because artificial ditches have been cut to promote tidal flooding and drainage. diked and drained = The wetland has been diked and drained, with or without flapper gates, pumping, or other means. farmed = Managed impoundment or drainage in which wetland has been converted to agricultural land. tidally restored = Tidal flow has been restored by removing an artificial obstruction. revegetated = Wetland vegetation has been reintroduced by replanting on unvegetated surfaces. invasive plants removed = Natural plant communities have been restored by the active removal of invasive plant species. invasive herbivores removed = Tidal wetland vegetation has been managed by the removal of invasive herbivores. sediment added = Elevation has been managed by artificially adding sediment to the site using techniques such as thin layering or sediment diversion. wetlands built = Constructed wetland using sediments such as dredge spoils or other sediment source. Part of the reason we control these attribute and variable names are so that the dataset does not become unmanageable, and we can deliver products that run cleanly and smoothly to you. However, we know that research is complicated, and not all of the data you want to include can be represented here. As long as it fits within this hierarchy, we allow you to submit user defined attributes. If species codes or common names are used anywhere in the study, there should be a separate table included defining all names using scientific names. The CCRCN is species code system is derived from the USDA PLANTS Database, and for most taxa, the code consists of the first two letters of genus follow by the first two letters of the species (e.g., "Spartina alterniflora" = "SPAL"). Any submitter-defined attributes should be included in a separate table indicating the associated level of hierarchy, attribute name, data type (date, factor, character, or numeric). Attribute names should follow good naming practices: self-descriptive, don’t start with a number or special character, no spaces. Dates should be stored as a character string and should have an accompanying ‘string format’ indicating the position, number of digits and deliminators for the date time. For example June twenty-sixth two-thousand eighteen written as 2018-06-26 would be formatted as ‘YYYY-MM-DD’. Here is a handy dateTime reference. Numeric values should have their units defined. Factors (i.e. categorical variables) should be defined in a separate table. Variable names, like attribute names, should be self-descriptive. Such as ‘experimental’ or ‘control’ as opposed to ‘1’ and ‘2’. You now know everything there is to know about soil carbon data management.